“Is it a lost cultural relic, melted to the dash of an ’83 Nissan Sentra? Is it a sinister government experiment, designed to brainwash children into becoming consumer slaves? Is it the pinnacle of blip-verts, sent back in time from 20 minutes into the future? Is it the holy grail of unlabeled VHS tapes, tucked away in the back room of an abandoned Blockbuster? You’re a normal kid in a normal town until things change. Until the strangeness sets in. 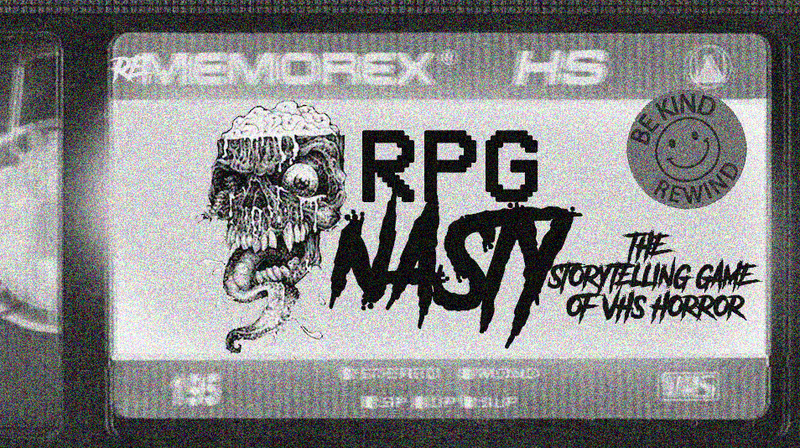 Rememorex is a game of the suburban horror from the mid-80’s, a tabletop RPG un-ironically set in the time period in which tabletop RPGs came into their own. It is a storytelling game that takes its cues from Stranger Things, ET, Gremlins, Firestarter, the Last Starfighter, and any number of other classic tales of suburban sci-fi and horror. Like those stories, there is a meta-level to the weirdness. Your entire group builds the story together, and thanks to an effect known as a Tracking Error, you might have the most power when your character isn’t even present. You’ll start in the fictional town of Clearfield, Delaware, a town of station wagons and treehouses and bikes in the woods. It’s a town where a generation dreams in neon and chrome but gets up every morning to learn social studies and races home to watch cartoons with sugary cereal. Everything is fine until the Strangeling comes. You might be a brain, an athlete, a princess, a criminal or a basket case, but you’re still a regular kid attending school. You have normal problems: avoiding bullies and collecting stickers or GI Joe guys, or hanging out at the mall and making sure the right boy asks you to the homecoming dance. Then something strange comes into your normal suburban life, something weird, something Other, that forces you to do things you didn’t think you could do. You rise to the challenge of saving the newcomer who has come to you, a normal suburban kid, for salvation. Your journey begins. Rememorex is now available on DriveThruRPG as a PDF and watch here for when the print version is ready! 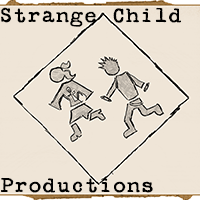 A collaborative Role-Playing game of childlike wonder and spooky suburban mystery. Rules for incredibly quick, simple relationship-based character creation featuring five different types of kids- the Athlete, The Brain, The Criminal, The Prince/Princess, and the Basket Case! The innovative storytelling device called the Tracking Error which keeps players involved even when their characters aren’t present! The fully-formed setting of Clearfield, a sleepy 80’s suburb brimming with pop culture nostalgia and otherwordly horror! Rules for creating your own 80’s suburb… and your own monsters to populate it!